The US is falling behind in many environmental preservation efforts, but it’s not time to give up yet. Many cities have had eco-friendly policies in place for years that have shown substantial progress. In some places, respect for nature is so engrained in everyday life that preserving the environment is hardly an effort at all. If you’re looking for a trip that doesn’t take such a toll on the planet, check out some of the leading eco-friendly destinations around the world. See for yourself what those policies look like in action and learn from the places that are getting it right. With Singapore’s dense population and constant expansion, structures like the Skyway Bridge make it possible for people to experience the outdoors in an urban setting. For such a densely populated city, Singapore might be one of the most resourceful. Not only do they recycle the most waste of any Asian city, but they produce the least amount of it to begin with. The city has also heavily invested in water-reclamation plants that treat and clean wastewater, which provides one fifth of Singapore’s water supply. But while recycling participation and water conservation have been climbing at an impressive rate in the past couple decades, it is Singapore’s creativity that makes its green mission remarkably impressive—and fun. 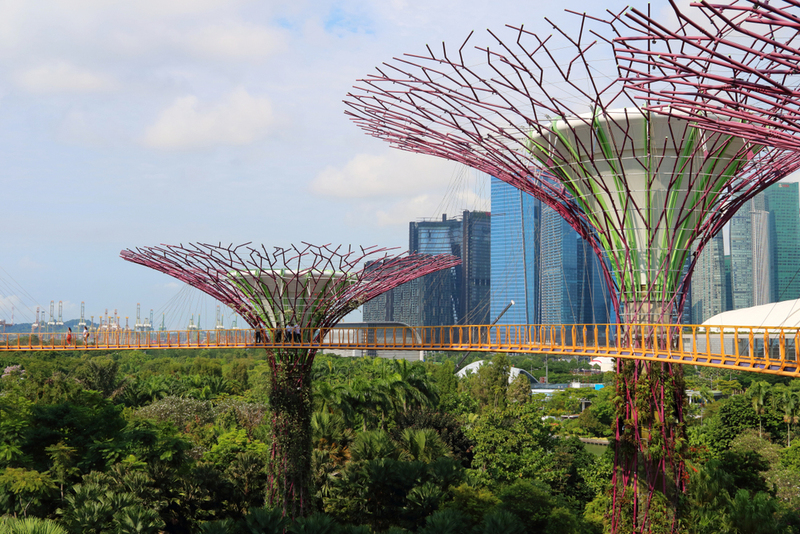 Ranked Asia’s Greenest City, Singapore makes use of its urban space with rooftop gardens and innovative building designs, such as Canopy Park and the Skyway Bridge. Canopy Park in Changi Airport’s Jewel is an indoor green wonderland with bouncing nets, slides, and canopy mazes under a glass dome that harnesses solar energy and collects rainwater for the gardens. The Skyway Bridge is an impressive structure of its own, showcasing 12 vertical gardens across 128 meters of raised walkway. Singapore’s environmental efforts might just be the most entertaining, interactive, and beautiful of them all. Click here for Singapore’s official tourism center. 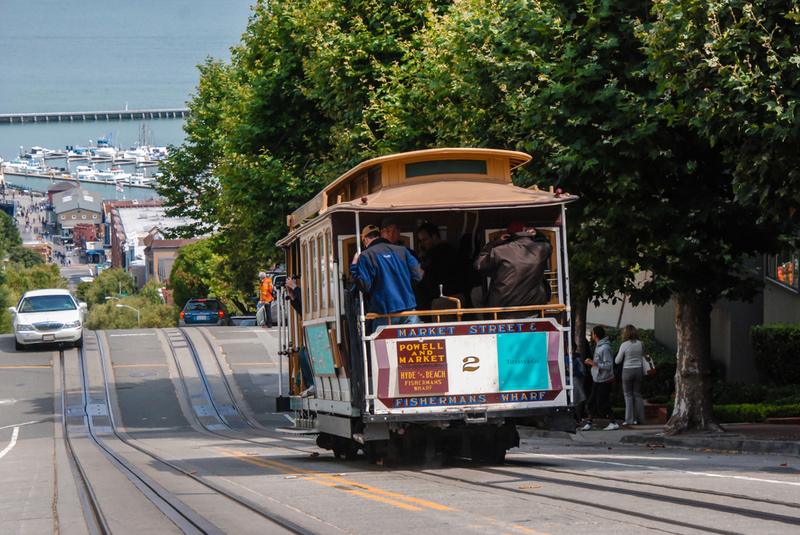 San Francisco’s famous cable cars are one of several public transportation systems that contribute to the city’s green efforts. San Francisco has made great strides toward more eco-friendly policies, enough so to be ranked the greenest city in the US and Canada by the Siemens Green City Index. They have made considerable efforts in waste management and reduction with mandated recycling and composting, which has resulted in the country’s best recycling rate of 77%. The city also offers tax breaks for businesses on public transportation expenses in an effort to reduce air pollution, and commercial buildings are required to provide energy-consumption data to ensure that they are meeting efficiency requirements. San Francisco was even one of the first cities to ban plastic grocery bags. Between the gay scene and the stunning efforts to keep the planet from dying, San Francisco is a hard one to beat. 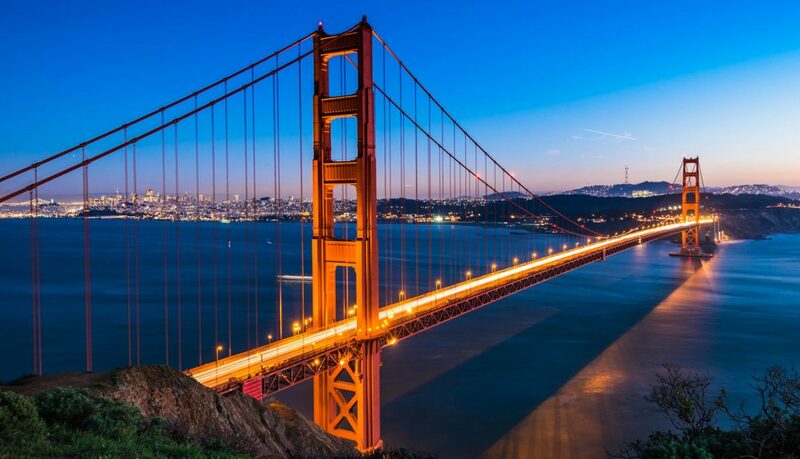 Click here for San Francisco’s official tourism website. Environmental efforts are major component of modern Icelandic culture. For a country known for its landscapes and natural beauty, it’s little surprise that the Icelandic people have been on top of their eco game for quite some time. Recycling and composting is standard in every home and restaurant, and bottled water is considered a tourist’s beverage when naturally purified spring water comes directly from any faucet. In fact, Iceland goes to great lengths to protect all of its water sources, and has implemented many measures to preserve its oceans and prevent the sea from being over-fished. Perhaps what is most remarkable is their efforts to reduce their carbon footprint. While Iceland is an expensive country in many respects, the one luxury that Icelandic people enjoy is astoundingly cheap heat and electricity—all thanks to renewable energy sources. Hydroelectric power and geothermal energy harnessed from a volcanic hot zone make it possible to provide 90% of Icelandic citizens with renewable, sustainable energy at half the cost of oil or electric heating, all without emitting greenhouse gasses. 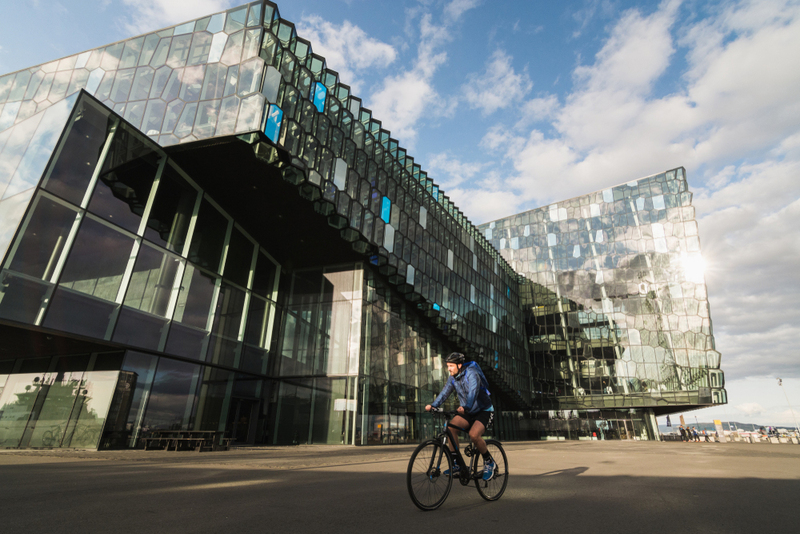 Click here for the Reykjavik official tourist information center. 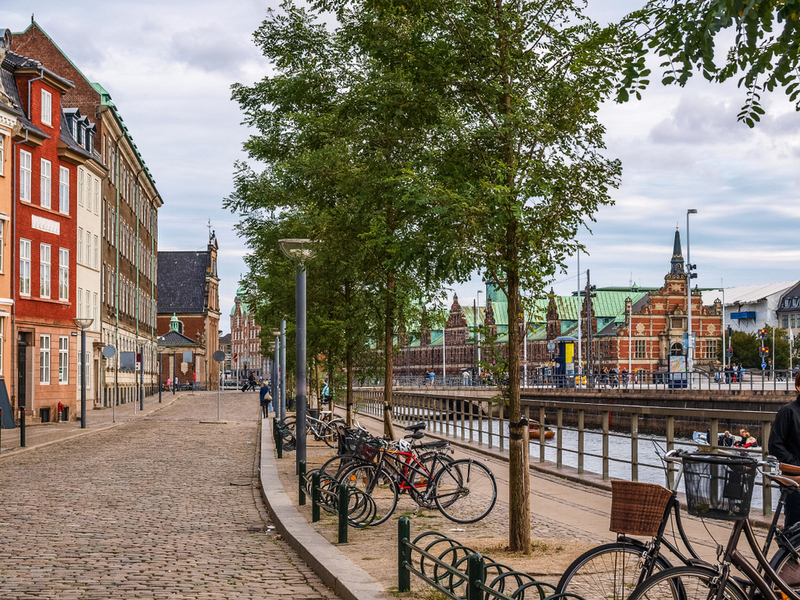 Because so many of Copenhagen’s residents opt to bike as a means of transportation, the city is well-equipped with bike paths and wide sidewalks. Copenhagen’s concerted efforts to implement environmentally progressive policies in a collaborative and consistent way has made it possible to set realistic goals for a greener future. One of their greatest strengths has been limiting and reducing carbon emissions, and the city has set a goal of becoming carbon-neutral by the year 2025. Cycling is a significant aspect of Copenhagen’s transportation culture, and many choose to bike as a means of healthy, eco-friendly, cost-effective, transportation regardless of income. There are also public metro, bus, and suburban railway systems easily accessible to those who do not. While recycling and compost policies have some catching up to do, Copenhagen may just be leading the charge toward better air quality for the rest of the world. Visit Copenhagen’s Official Tourism website for more information.